Welcome onboard our Artful Leader Journey, a conference in the intersection between servant leadership and the arts! The conference is designed to challenge your leadership assumptions and to help you embrace the arts as a powerful tool for learning and development. Have no doubts... this is not a traditional conference. Through an intensive experiential learning experience we will share and discuss the latest findings about Servant Leadership and empower you to master the characteristiques of a servant leader using a creative arts-based learning approach. The conference will take place in Matosinhos (Porto|Portugal) | 7 June, 2018. We want to share the Artful Leader with the world and this is a free conference. Participants registration is mandatory. Please notice that the official language of the conference will be English. The Artful Leader Journey programme is designed as an itinerary for an adventure, a fieldtrip that will take you through practice, reflection and theory about Servant Leadership. And as any adventure, this programme is full of colour, sounds, textures and fun. We will challenge your brain as well as your heart and hands through a series of talks and workshops accompanied by fantastic artistic performances. 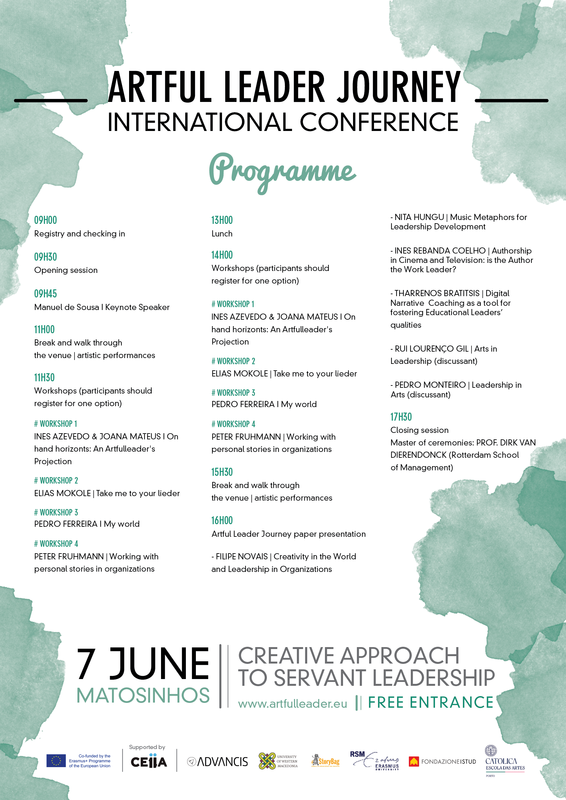 Take a look at the programme here! The Artful Leader Journey is a joint effort of six european partners. CEiiA is an associated partner of the project and will be hosting the conference.